Events Archive | Read Aloud Lincoln | Read today. Succeed tomorrow. 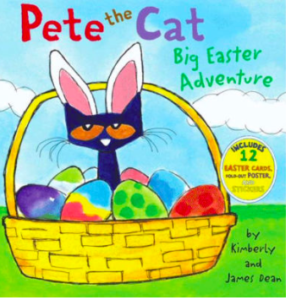 Storytime and Activities Featuring Pete the Cat Big Easter Adventure Saturday April 13, 2019 11:00 AM When Pete wakes up Easter morning and sees his basket of goodies, he discovers the Easter Bunny needs a little help. He puts on his bunny ears and hops to it to help save Easter!